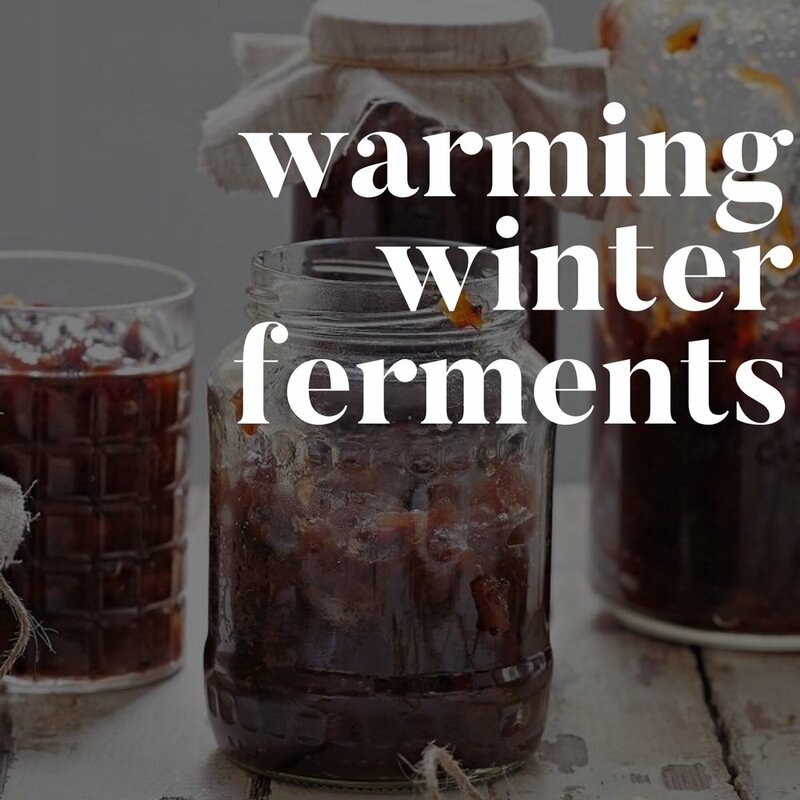 This 3 hour workshop takes you through a variety of healing and creative fermented foods to warm up your winter kitchen and enrich daily meals. The first half of the intensive includes demonstrations, tastings, and lots of room for questions. We’ll cover the basics of how to make beet pickled eggs, a zesty horseradish sauce, a spiced apple and squash chutney, and a healing fire cider, and we’ll all share ideas for how we can incorporate them into our meals. In the second half of the workshop, we’ll all work together to make a big batch of sauerkraut (and you’ll get your own jar to take home, along with instructions!) Bring your curiosity and your fermentation questions, and come learn with us! Gather at Cultured South at 11AM for the class then head back to their community kitchen to get fermenting! Don't mind the construction- a brewpub is making progress in the parking lot, there's plenty of parking in the front parking lot, you'll just have a short walk to the front door of Cultured South. Never been to Cultured South? Located at the Lee + White district, Cultured South is on the same "warehouse row" as Monday Night Garage. Look for the mural, old oak barrels and patio near the rear of the 1038 building, follow the scents of kombucha brewing and you're there! Grab a pint of kombucha after the class and chill out in the taproom with your new fermentation friends! Jillian and Julia met earlier this year during a fermentation and oven building residency with Sandor Katz, and became fast friends. Jillian, aka The Ferment Lady, teaches fermentation classes and offers individual dietary consulting and instruction in Sarasota, FL. Julia is founder and director of Root, a food history and community organization, and a professional fermenter who currently works at Ladybird Grove and Mess Hall. Cultured South Georgia's First Kombucha Bar and Fermentation Marketplace located in the historic West End. Cultured South is a taproom located right off the Atlanta Beltline and is the home of wonderful fermented products like: Golda Kombucha, and Pure Abundance cashew cheese.